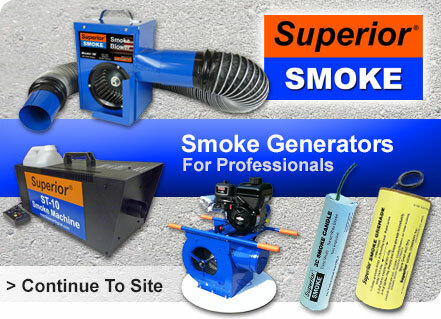 Superior® Smoke Generators are used for literally hundreds of applications. Firefighter training, sewer inflow leak detection, special effects, HVAC testing, truck and trailer leak detection, law enforcement, military, IED simulation, and a variety of other air flow visualization and leak detection applications. By detecting the ultrasonic sound created by turbulence and friction in industrial equipment, these extraordinary instruments pinpoint compressed air leaks, vacuum leaks, refrigerant leaks, worn bearings, and internal leaks through valves and steam traps. For over 60 years, Superior Signal Company has provided industry with quality products at attractive prices. 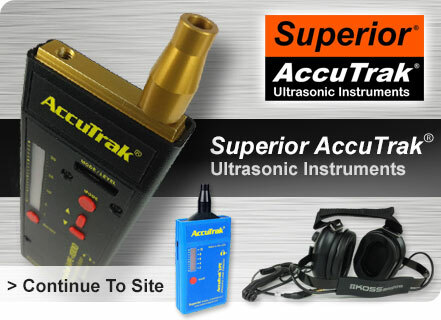 Our American made, Superior® Smoke Generators and AccuTrak® Ultrasonic Leak Detectors are the professionals choice for literally hundreds of applications. Please visit one of our websites above to learn more about how our innovative products can help you.